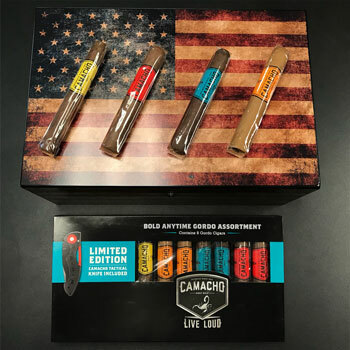 Discerning cigar enthusiasts don’t necessarily look for a humidor according a specific budget but are seeking one that offers the best value for money. This elusive sweet spot essentially provides you with the highest possible quality according to the price paid. As such, this guide will explore the Best Value Humidors, which caters to a wide range of budgets between $50 and $500. Therefore, these aren’t necessarily cheap of luxury humidors either. You can use the links above to jump ahead. You can also head to the menu below to see what else we’ll be covering in this guide. What Are The Best Value Humidors You Can Buy Online? Are Value Humidors Worth It? Our trusty Old Glory humidor never ceases to impress us. First bought at a very reasonable price some years ago, it continues to perform valiantly and provides and consistent relative humidity. The kiln-dried Spanish cedar absorbs just the right level of moisture while the SureSeal enclosure prevents leakage. 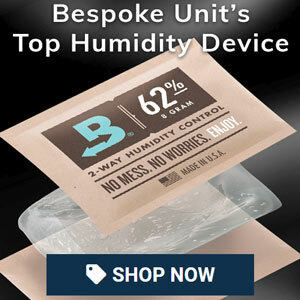 Our only gripe would be the supplied hygrometer and humidifer, which we quickly ditched in favour of a digital hygrometer and Boveda humidity packs. At first, we weren’t quick sure what to expect from Boveda’s acrylic humidor. However, we were very quickly impressed by its excellent moisture retention and quality seal. If you’re often frustrated by the unreliable seals and seasoning issues of wooden humidors, Boveda’s acrylic storage is low-maintenance and stress-free. 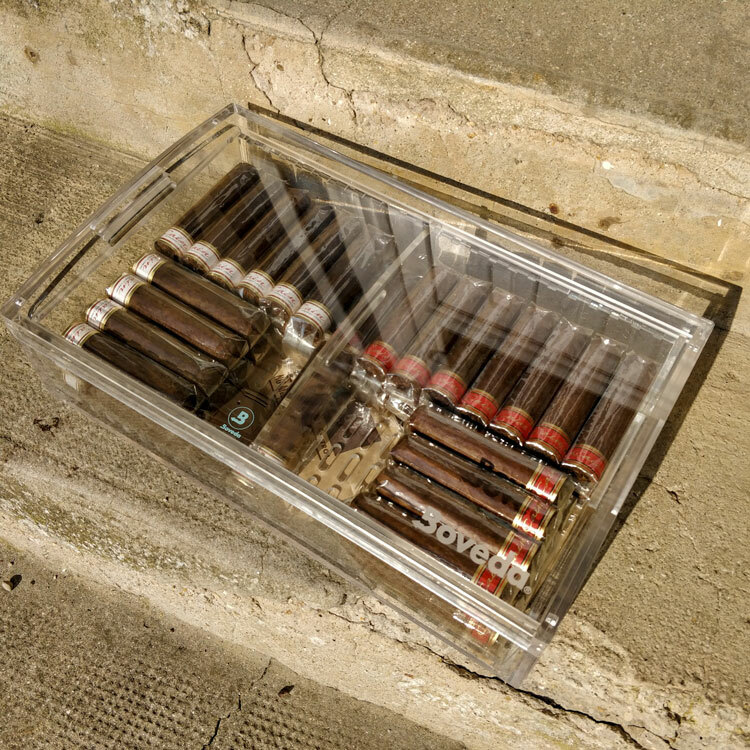 Thanks to the use of magnets, this humidor is airtight and features an easily accessible compartment for placing your humidity packs. We’ve relied on the H&H Classic Collection humidor for a number of years without any issues. 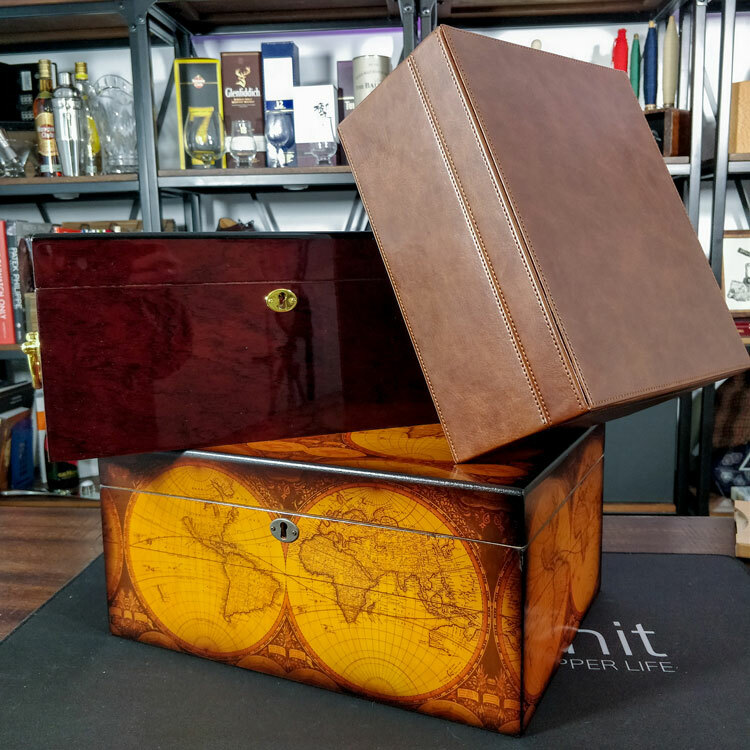 This large and ornate humidor offers a reliable seal and airtight storage with consistent humidity. We’re particularly fond of the eye-catching black ebony and maple finish, which is surprisingly affordable too. Instead of the supplied devices, we use a Boveda mounting plate to store a 320g pack as well as a Boveda Butler for tracking the humidity. This humidor is almost identical to the Old Glory save for the different finish. If you’re not overly fond of the weathered US flag, this antique map design is very eye-catching. Meanwhile, you can be confident that this affordable humidor will perform well and not let you down. A very similar humidor the Old World and Old Glory, the Deauville has a much more ornate finish. The glossy maple lacquer is very attractive and the lid features a large leaf that is reminiscent of Davidoff’s Zino logo. The Deauville also features brass arms, which is pretty handy for moving it from one place to another. 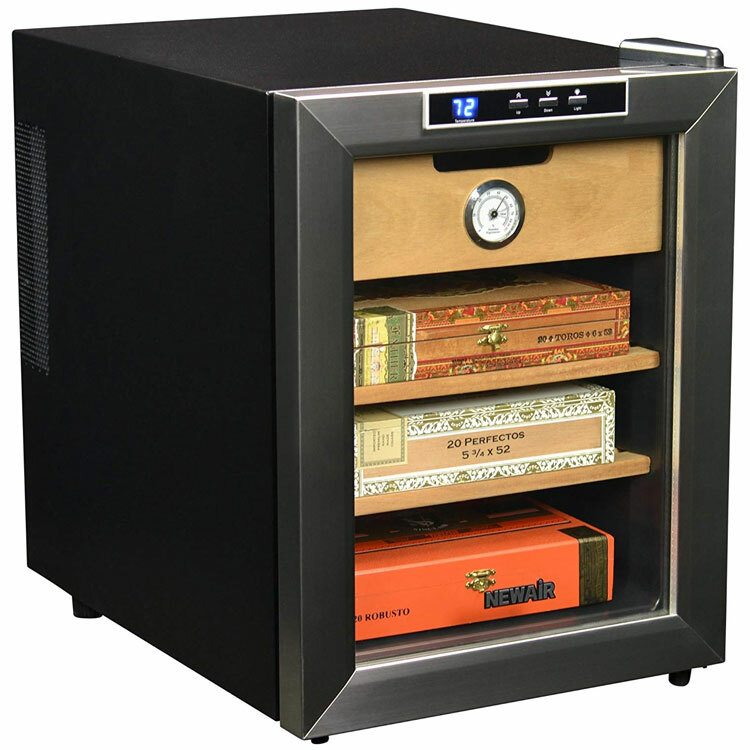 Like the other humidors in this range, we recommend retrofitting it with Boveda instruments. Although a high capacity wooden humidor, the Salvador sits low and is wide enough to easily access your collection. It’s also built with a magnet-lined lid so you can easily remove and replace your devices. This feature is rare in more affordable humidors and we tend to only see it on some premium models. Finally, we like that this has been supplied with a digital hygrometer. However, we’d still replace the humidifiers. An updated version of the CC-100, the CC-100H probably offers the best value for money among all the other coolers that we tried. It provides a reasonably consistent temperature with a wide range of options. Meanwhile, the shelving is made from Spanish cedar and has a total capacity of 250 cigars. Our only gripe is that it is built with an analogue hygrometer, which strikes us as oddly anachronistic for such a modern device. A premium humidor that presents excellent value for money, Daniel Marshall is a world-renowned brand. Handmade in Santa Ana, Ca, it’s built from black ebony with a thick Spanish cedar lining. the lid is lined with a magnetic sheet so you can place your devices anywhere you want. The supplied digital hygrometer is excellent while the humidity packs are quite reasonable. Why Use A Value Humidor? Whether you’re budget conscious or like to invest wisely in your purchases, a value humidor presents itself as one of the best storage solutions. The above humidors offer great quality with regards to their price points and will unlikely disappoint you. Value humidors set themselves apart from either cheap or luxury storage options because they are recommended on a much more relative scare. Here, the budget is much more fluid but is a strong factor compared to the quality and performance. If you seek to purchase a humidor solely according to its quality and budget somewhat more flexible, there will be a range of possibilities available to you. As a general rule, value for money is a somewhat abstract concept that doesn’t really abide to a specific price point. In fact, it’s quite relative and depends on the humidor itself with respect to its price point. For instance, a very cheap humidor may cost less than $50, but it could be made from inferior materials. As such, it will likely perform poorly and not provide your cigars with the micro-climate that they need. Meanwhile, luxury humidors are lavishly designed storage containers that are often handmade using exotic wood. However, they may not perform much better than mid-priced options. Consequently, a humidor that provides the best value for money will perform its functions as well as possible while adhering to a reasonable price. These aforementioned functions don’t just include the humidity retention and seal but also aesthetics and other features too. This type of humidor presents itself as one of the best possible options that you can buy and be satisfied with your purchase. 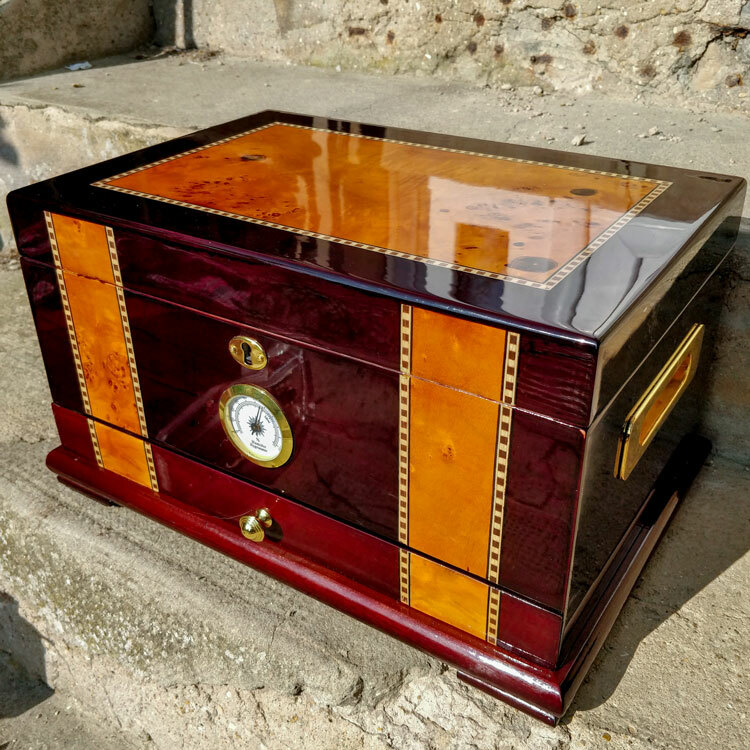 Nevertheless, if you do want to treat yourself, spending more on a luxury humidor will provide you with a potential heirloom that isn’t just functional but also a work of art. Reviewed by Randy C., on 2nd November . "Great options here. This guide has helped narrow down my options to just a few humidors. Thanks!"